CoreOS Fest is a two-day event that connects developers, operations, DevOps professionals and more — of all levels — to learn about the tools and best practices to build modern infrastructure stacks. We invite you to CoreOS Fest to join Alex Williams and Donnie Berkholz of 451 Research on May 5 at 8 a.m. for a podcast and pancakes. We’ll be talking about the new stacks over short stacks. The conversation should be delicious. What kind of stacks are you building? 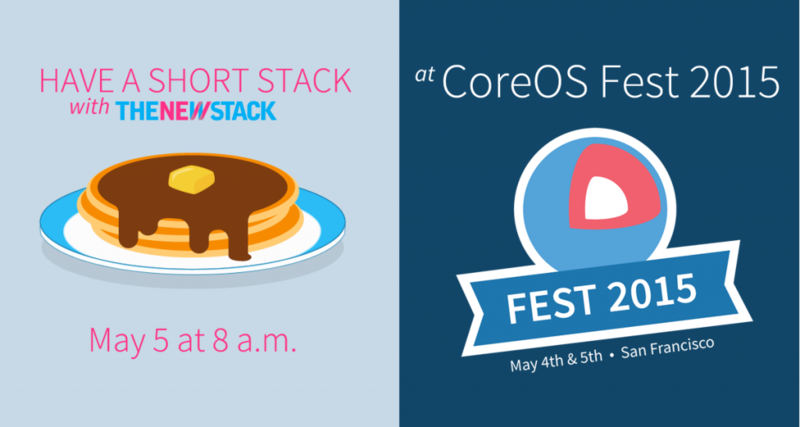 Come to CoreOS Fest to tell us about it at The New Stack pancake breakfast.